New Zealand’s most trusted charity – The Order of St John – is searching for a CIO. The position reports to the CEO and is a member of the executive management team, according to the organisation, which provides ambulance services and a range of health and community services across New Zealand. St John says the CIO role is a “future focused ICT executive management position”. “The technological face of healthcare is moving quickly and we need an ICT expert and visionary to guide our ICT strategy to ensure we meet the needs of our patients and customers and align ourselves with health sector partners. We are transforming our services and this role plays a lead role in making sure our complex systems enable this,” St John says in a statement.. 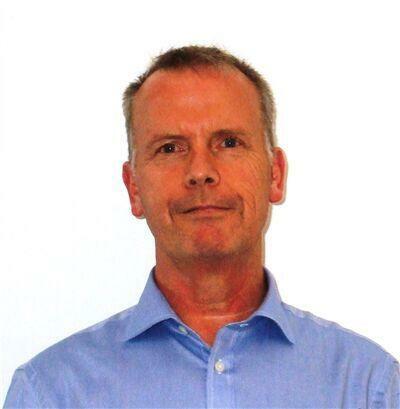 The 50-member ICT team is currently led by interim CIO Barry Thurston. St John will be in a strong position to build on the technology advances it’s made over the past 12 months. Thurston says he has spent the past year overseeing the upgrade of many of St John’s core systems and infrastructure to allow the organisation to fully participate in the wider New Zealand Health Strategy. St John says a degree or advanced professional qualification in ICT is essential for the role as as well as broad experience in delivering complex technology projects, service desk provision and implementing formal ICT processes. Excellent operational and business acumen are a must for this position, as is logical and lateral thinking capability, it adds. The role is based in Auckland. Applications close on Sunday, 20th March 2016, and can be directed to Sandy Clarke, Talent Sourcing Manager on 0800STJOHN. 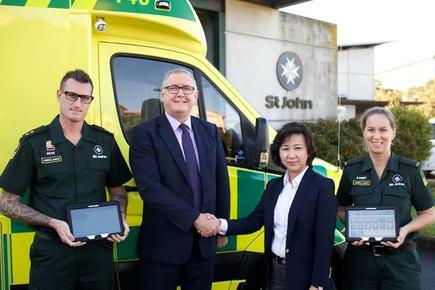 St John CEO Peter Bradley and Managing Director of Samsung NZ Kenny Yeon with two St John paramedics.